The lights are twinkling all over and my (mini) Christmas tree is up. Now, it's time for Christmas shopping. Christmas always makes me think of being a kid and the excitement of the big morning. We always went to church on Christmas Eve for the candle lighting service, which is the most beautiful thing. Sometimes we’d open presents on Christmas Eve because we usually drove to see my aunt, uncle and cousins for Christmas. When I was a kid I wanted an Easy Bake Oven. Another year Cabbage Patch Dolls were the rage. I remember they were on back order and it took months to get them. I got one in the summer, which was a preemie, and then I ended up getting two at Christmas. I still have them. I found them in a box when my parents were moving a couple years ago. They still look pretty good, right? But I think my favorite present ever was a huge, stuffed bunny that I got when I was about 4 or 5. It was yellow and soft and I could sit on its lap. 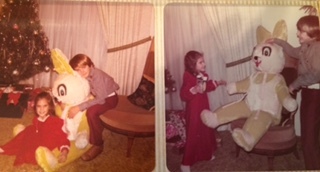 Yes, that's actually me with the bunny. These days it’s harder to figure out what I want. Well, actually my real wish is to be a world-famous author and make my total living off my writing, lol. I’m not sure anyone can give me that present, not even Santa Claus. What are your favorite Christmas memories from growing up? Was there was special present you really wanted? Kristin Wallaceis the USA Today Best Selling Author of inspirational and contemporary romance, and women’s fiction filled with “Love, Laughter and a Leap of Faith”. 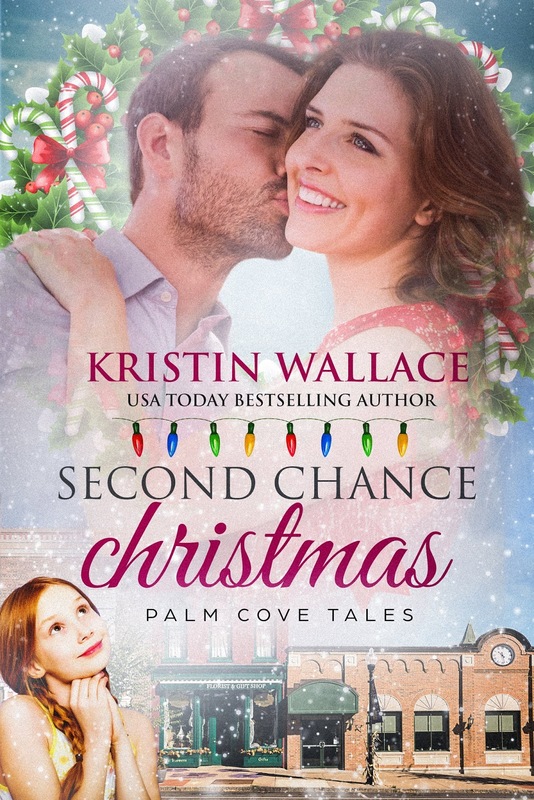 Kristin’s latest release is SECOND CHANCE CHRISTMAS, a new entry her Palm Cove Tales series. A delightful holiday novella that continues the Palm Cove Tales, with appearances from some of your favorites “Heiress Games” characters. This new series focuses on the family of security expert, Damon Grant. Ten years ago, Mia Reynolds and Win Barrington spent one magical Christmas together. Until lies and manipulation at the hands of Win’s wealthy family tore them apart, leaving Mia to raise a daughter on her own. Now, both have returned to their hometown of Palm Cove, Florida. Once they uncover the truth about what happened, can Mia and Win rediscover the love they once lost and celebrate a Second Chance Christmas with their daughter? Lots of happy Christmas memories. Two gifts stick in my mind. The first one is A Little Red Spinning Wheel, the Christmas that my older brother and I learned that Santa was the spirit of Christmas (Dad's explanation) and he and Mom, not Santa, brought the gifts. I kept getting up to peek in the living room, until my parents gave in and showed me the spinning wheel under the tree. The second was the Penny's gift certificates my parents sent us the first Christmas we were married and living 2,500 miles away. As college students, we didn't have much discretionary income and after getting a tree and a few decorations, we didn't have any money for gifts. We used the gift certificates to buy each other gifts. What lovely memories, and I well remember the cabbage patch dolls. BTW, I love your cover! Especially putting together gift the night of Christmas Eve for my son and later our granddaughters. I got a pair of ice skates one year. Funny, I haven't thought of those in years. 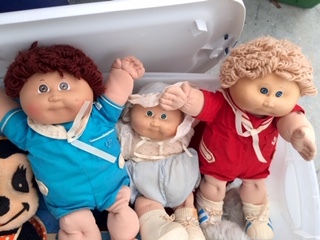 My girls had cabbage patch dolls. I still have some of them stuck on a shelf in our closet. My granddaughters have played with them as well as the Care Bears.